This week I decided that my photo shoot should take place in my garden before the weekend arrived, as the weather forecast for the weekend didn't sound like it would be conducive to taking photographs. 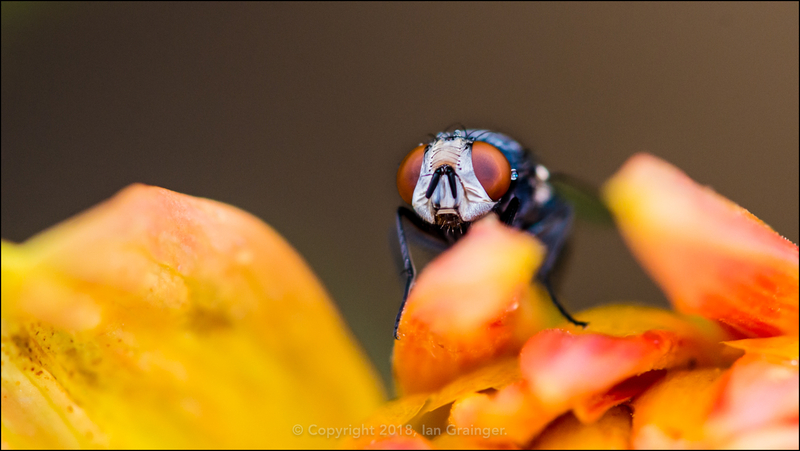 I was fascinated how this Greenbottle Fly (Lucilia caesar) kept returning to the pretty petals of the Dahlia bloom. Not behaviour I'd expect of a Fly! 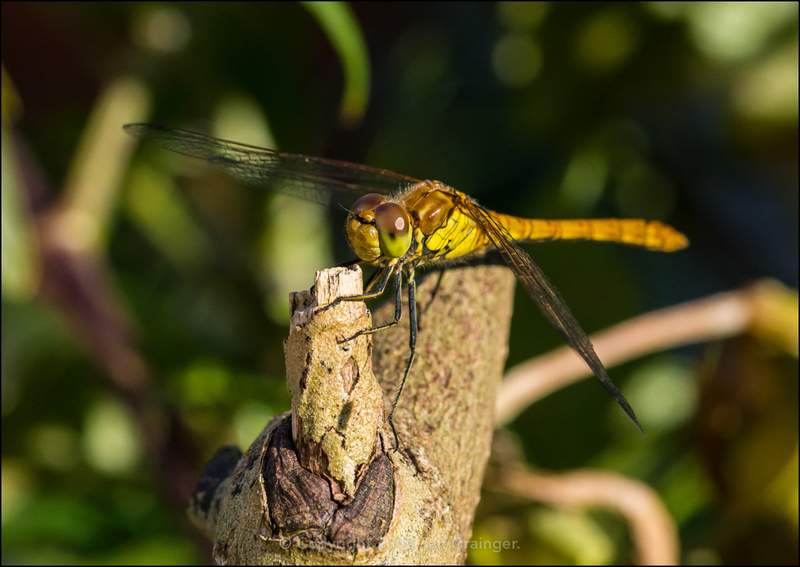 An insect that is more likely to exhibit that behaviour is the Dragonfly, and this Common Darter (Sympetrum striolatum) obliged by returning to its resting place on numerous occasions. 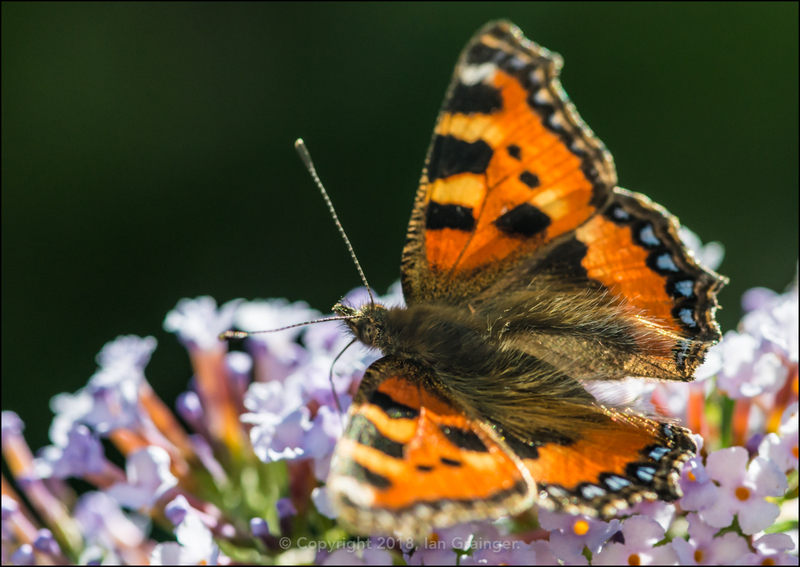 While I was snapping photos of the Dragonfly, this Small Tortoiseshell Butterfly (Aglais urticae) tore me away. I don't often see them in my garden, and it was only a fleeting encounter, this being the best of the half dozen shots I managed to get. My garden was battered by torrential rain and gale force winds a couple of weeks ago, so I thought I'd better take a few photos of the remaining flowers before they disappear too. 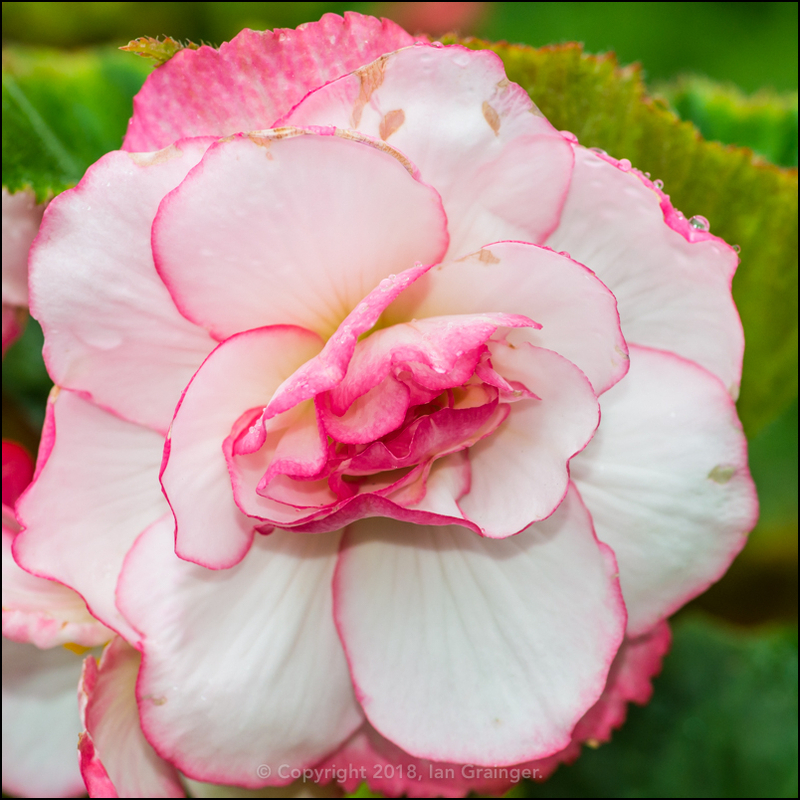 One of my favourites this year have been these Begonia (Begonia x tuberhybrida) 'Bouton De Rose', which I grew from tubers. I was lucky that I spotted early on that I'd planted the tubers the wrong way up, but it doesn't seem to have caused them too many problems since I remedied the mistake! 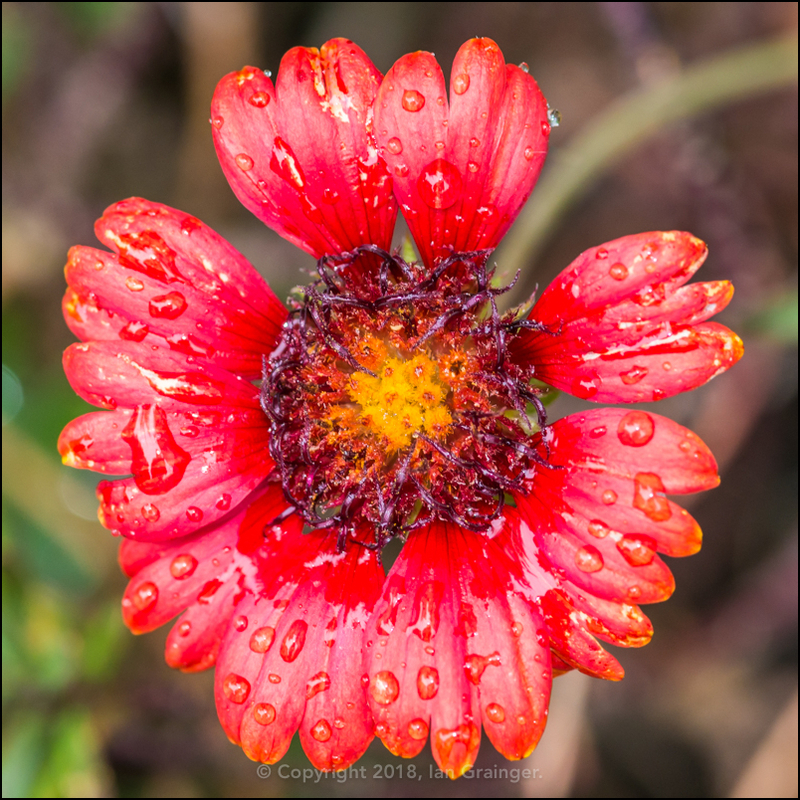 A welcome returning perennial is my red Blanket Flower (Gaillardia), which is only in a small pot, but puts on a lovely display each year. Also in a small pot is another returning lovely. 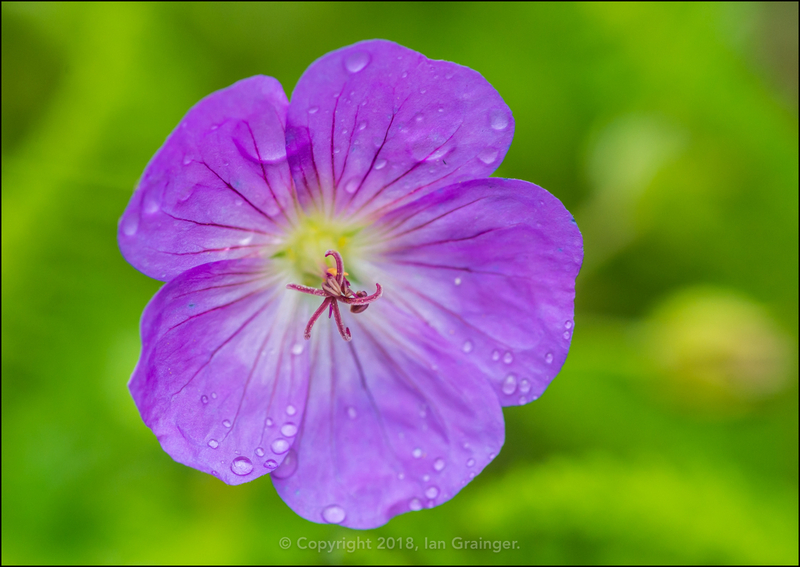 This Geranium 'Rozanne' began flowering in mid-June and is still going strong. 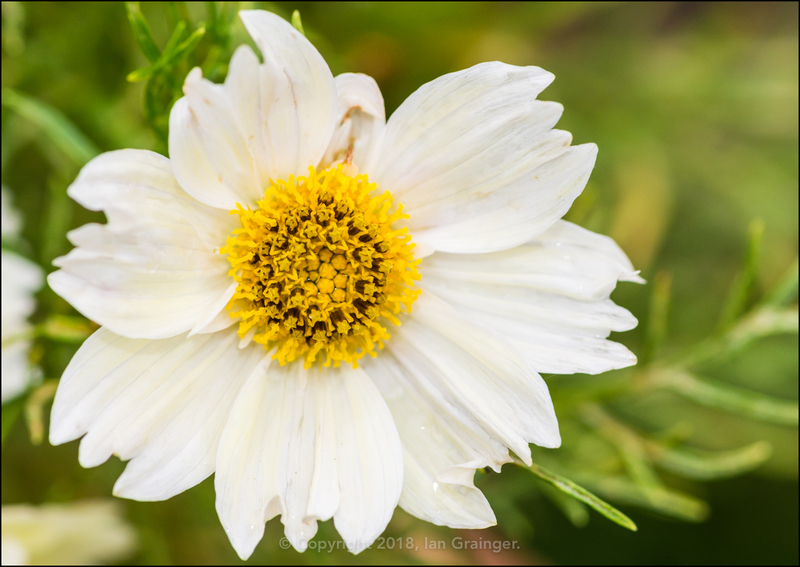 These Cosmos (Cosmos bipinnatus) 'Xanthos' were grown from seed this year, and are my favourite Cosmos variety by far. Staying small and compact, they fit in almost anywhere, but do especially well in pots. 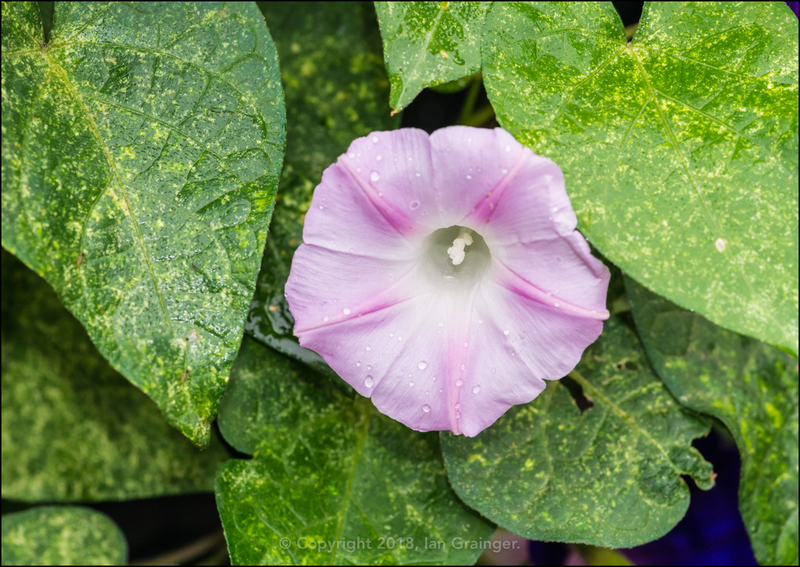 I have quite a few Morning Glory (Ipomoea purpurea) plants, which were also grown from seed, growing up a fence. These are supposed to be variety 'Kniolas Black Night', but they're obviously not - unless pink is the new black! 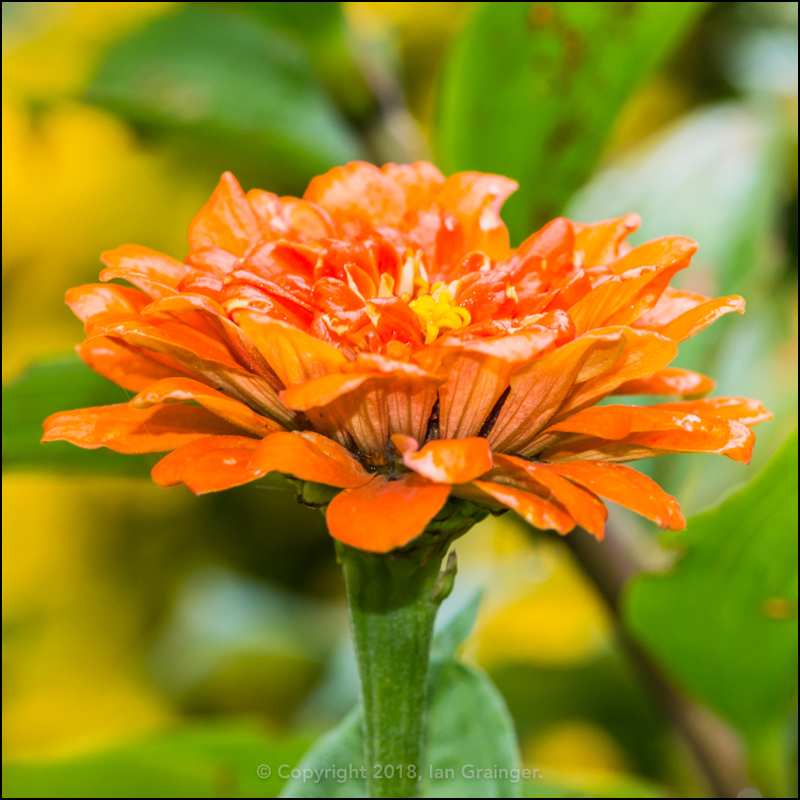 Another one grown from seed - from a packet supplied on the cover of Gardeners' World magazine - are these Zinnia 'Orange King'. I'm not really a fan, but at least they're bringing some colour to the garden. 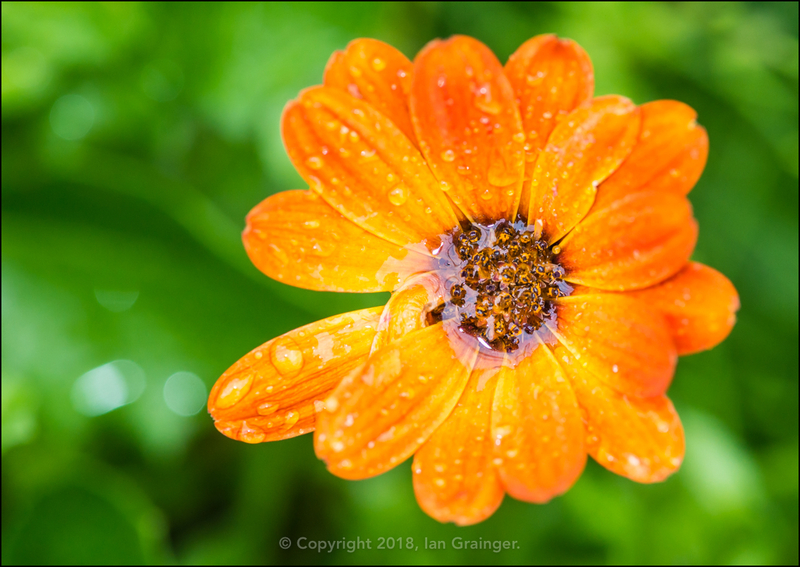 Continuing with the orange theme, I purchased this African Daisy (Osteospermum) back in early June, and it's on about it's third crop of flowers. It's a plant that definitely benefits from regular deadheading. I'm hoping that my final orange bloom will get to the flowering stage. 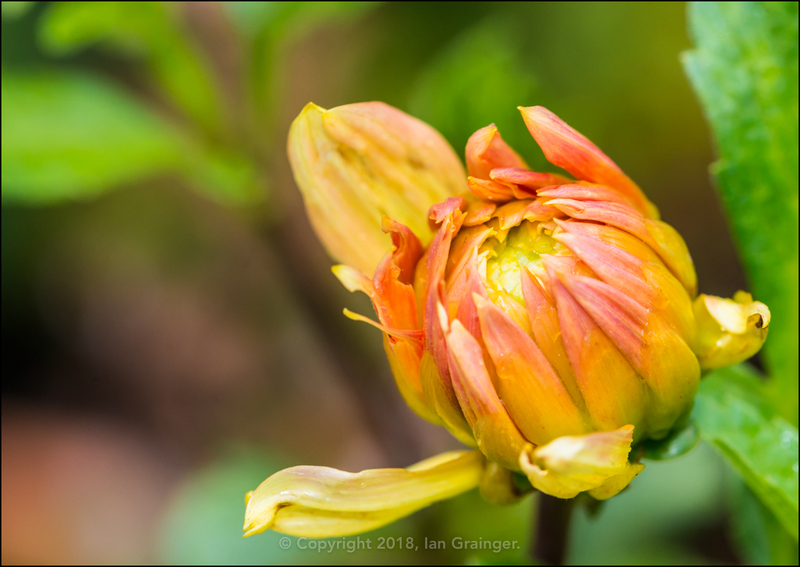 Dahlia 'Noordwijks Glorie' is only the second of my Dahlias to reach the flowering stage this year. The winds I mentioned earlier completely destroyed my other varieties, despite them all being staked. Finally, my fishy friends. This one is a blast from the past! 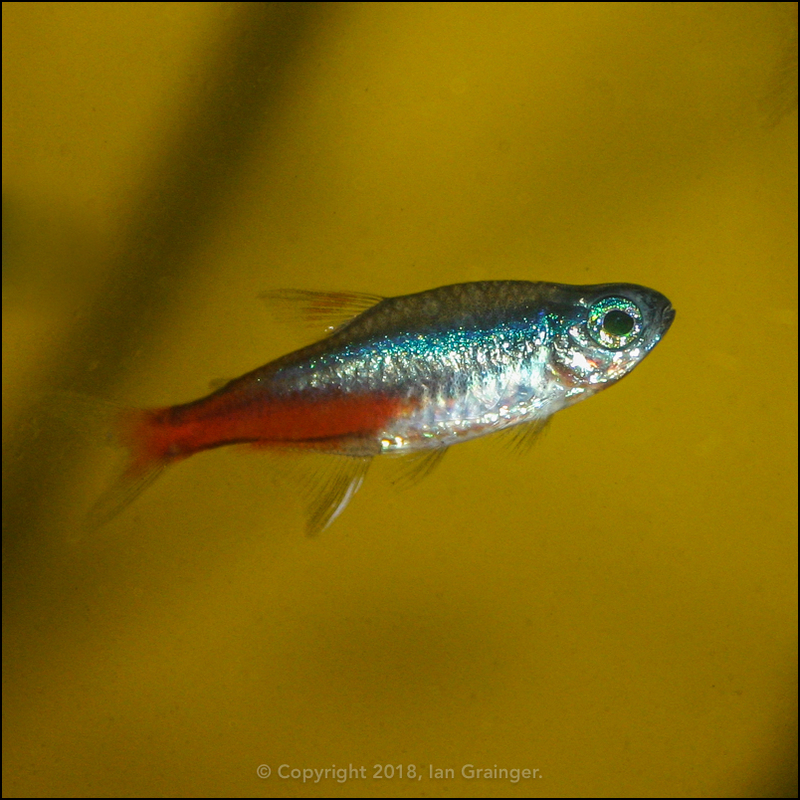 One of a group of Neon Tetra (Paracheirodon innesi) I kept way back in 2004! Such a pretty little fish and much underrated! I really should start keeping them again. Maybe I need to set-up a new tank?